Lakeith Stanfield, best known for his breakout turn in FX’s Atlanta, has been cast in Sony’s The Girl in the Spider’s Web, the sequel to the 2011 film The Girl with the Dragon Tattoo, Variety reports. The sequel currently stars The Crown Golden Globe winner Claire Foy as Lisbeth Salander, replacing Rooney Mara, who earned her first Oscar nomination in the role. Also starring is Blade Runner 2049’s Sylvia Hoeks as Salander’s twin sister, Mindhunter breakout actor Cameron Britton as a close associate of Salander’s, and Claes Bang of the Cannes Film Festival Palm d’Ore-winning film The Square in the villainous role. Production is slated to begin this month in Berlin and Stockholm, and the film is set to arrive in theaters on Oct. 19, 2018. The film will be directed by Fede Alvarez, who helmed Sony’s 2016 film Don’t Breath, replacing Dragon Tattoo director David Fincher. Scott Rudin will return to produce the project but this time, Amy Pascal and Elizabeth Cantillon will join him. 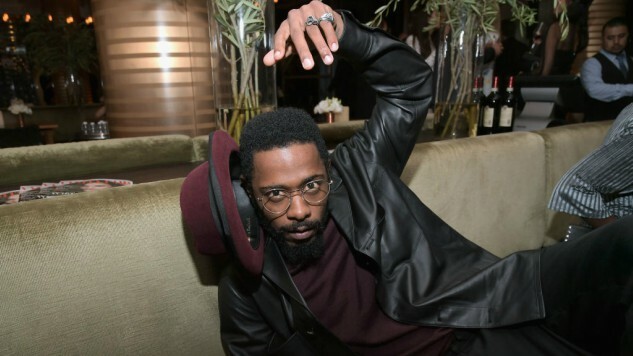 Stanfield has also appeared in the critically praised box-office hit (and Paste movie of the year for 2017) Get Out, 2017 prison drama Crown Heights and Ava Duvernay’s Oscar-winning Selma. Stanfield made his feature debut in the 2013 festival darling film Short Term 12 opposite Oscar winner Brie Larson.